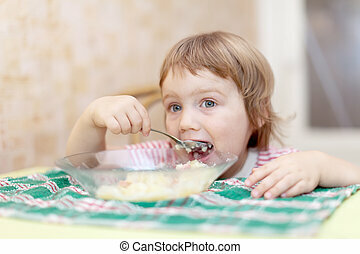 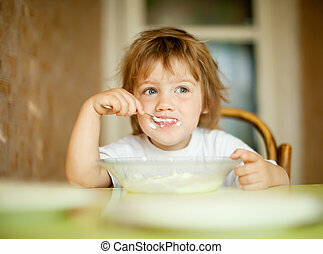 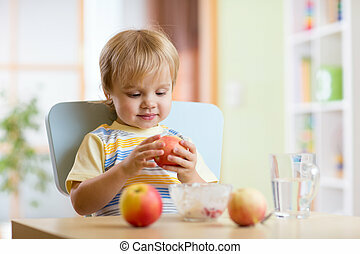 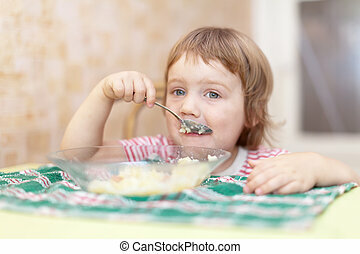 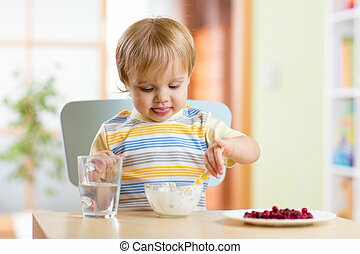 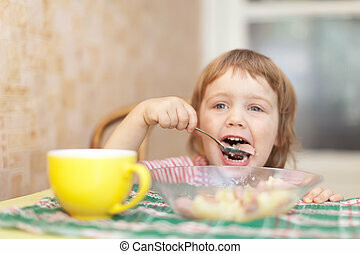 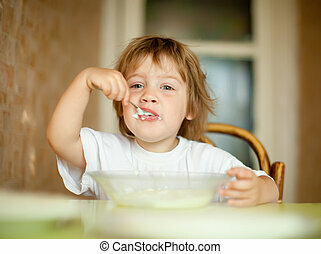 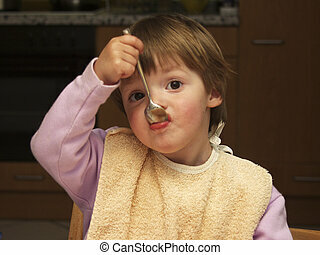 Child eating with spoon. 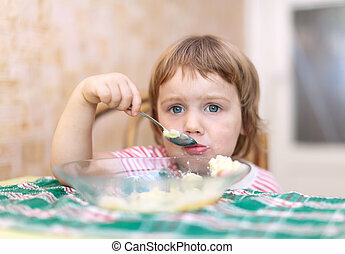 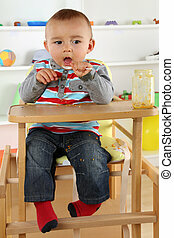 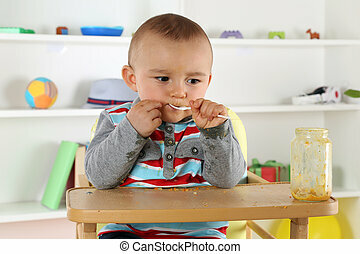 Young toddler eating with a spoon while wearing a green bib. 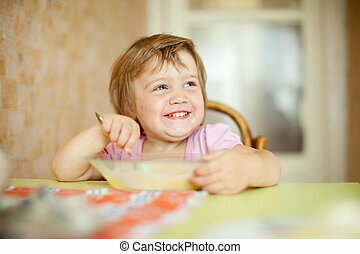 you can see milk dribbling down her chin. 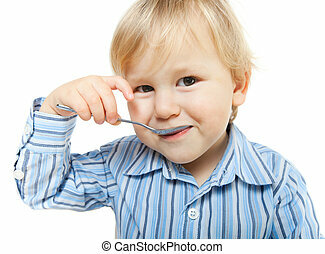 blue eyes, blond hair. 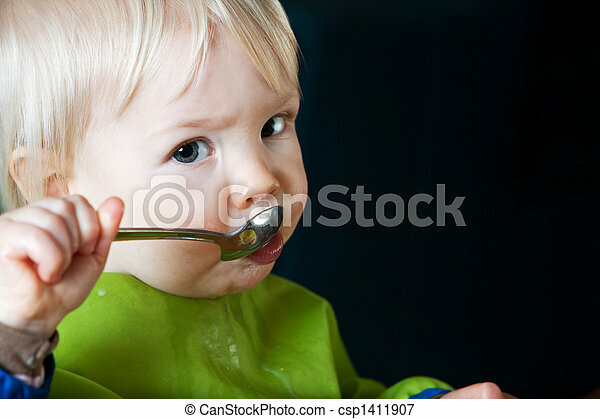 Young toddler eating with a spoon while wearing a green bib. 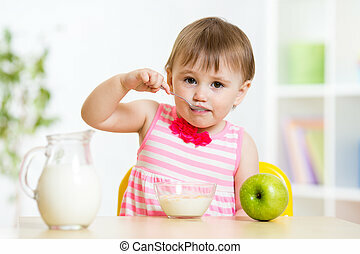 You can see milk dribbling down her chin. 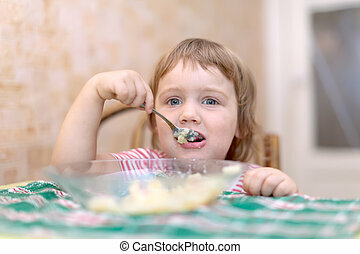 Blue eyes, blond hair.